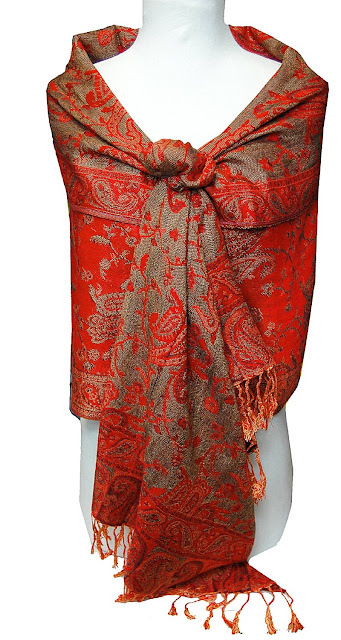 The finest quality pashmina blended with silk. The patterns that you see in the picture are created by our professional pashmina fashion designers. 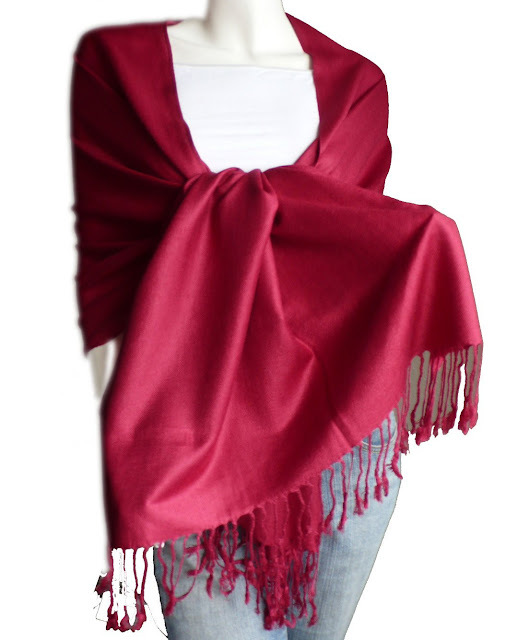 All of luxurious pashminas are base on quality and comfort. 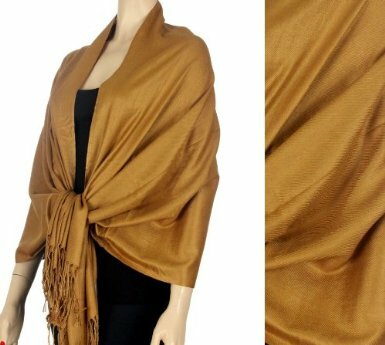 We offer the best quality pashmina in shawls, stoles, medium stoles and scarves including 100% Cashmere, Wool, Silk, Rayon etc. 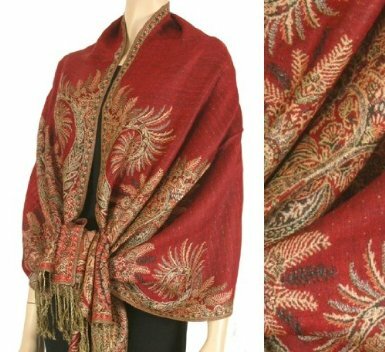 Pashmina has been valued for centuries throughout Asia and the Middle East, and the wonderful qualities of pashmina are now making it just as popular in the West. 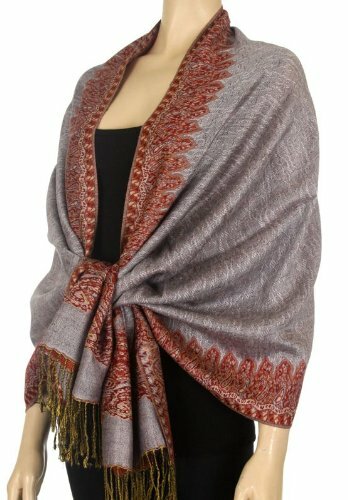 Our pashmina shawls are remarkably soft and light. Today Kashmiri shawls are embroidered by professional men. Lately, the American market has opened to Pashmina as Americans discovered its plush, soft texture. Fashion gurus now pronounce it as essential to the wardrobe. Actual color may vary slightly due to intricate designing and digital imaging. 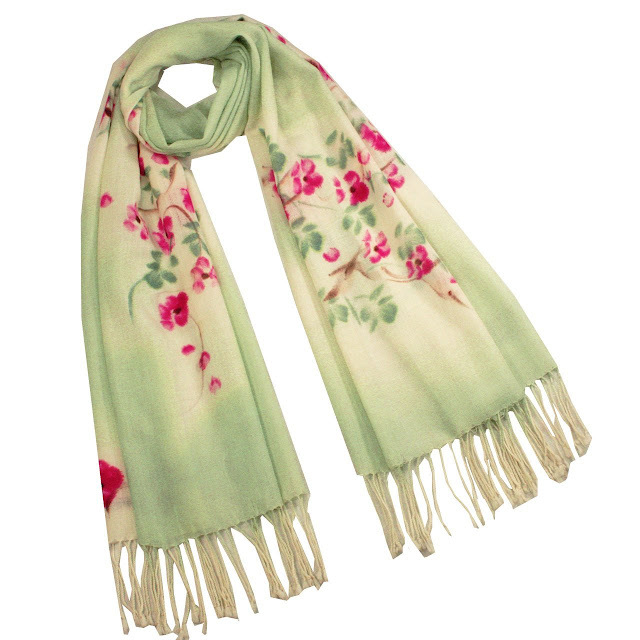 High quality medium weight 100% Pashmina Cashmere long scarf/shawl, with lovely hand painted peach tree in bloom, beautiful pink flowers among the green leaves. Wrap yourself and enjoy the soft and super stylish, keeps you warm and fashionable as you wear it. 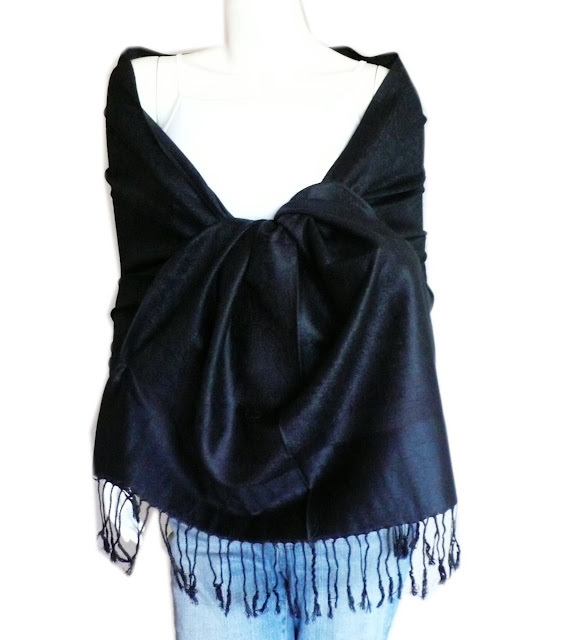 The scarf measures 26*69 inches(77 inches with fringe). A must have accessory. Wrap around your neck and shoulder offers luxuriously soft and warm all year round. Suited for both formal and casual wear. And it also makes a great holiday gift for your friends and loved ones. 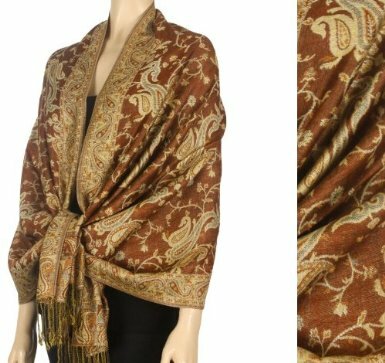 Dry clean or Hand wash.
Saka's Pashmina is your one-stop for latest & unique design fashion shawls.